Barrow Tenement in Lyth Valley, near Kendal, Cumbria sleeps 5 people. 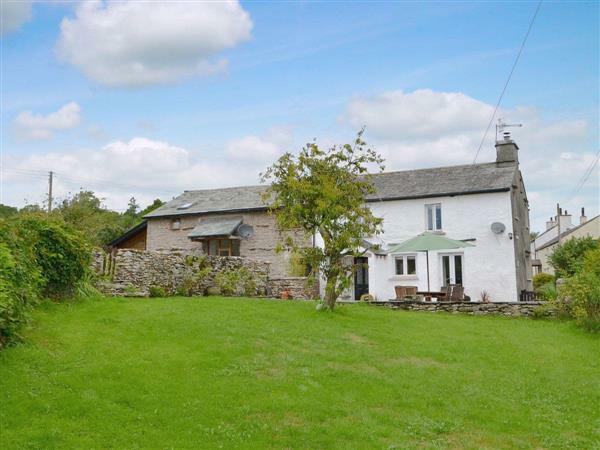 Barrow Tenement near Kendal is a semi-detached cottage tucked away in the Lyth Valley; Barrow Tenement offers guests a well presented, spacious house, next to the owner’s home, in a charming hamlet between Kendal and Windermere. The setting for the cluster of rural properties couldn’t be prettier, amid picturesque countryside with walks for all abilities from the doorstep. Barrow Tenement has been a much loved family home for many years and now offers guests a particularly comfortable base from which to make the most of all that the area has to offer. 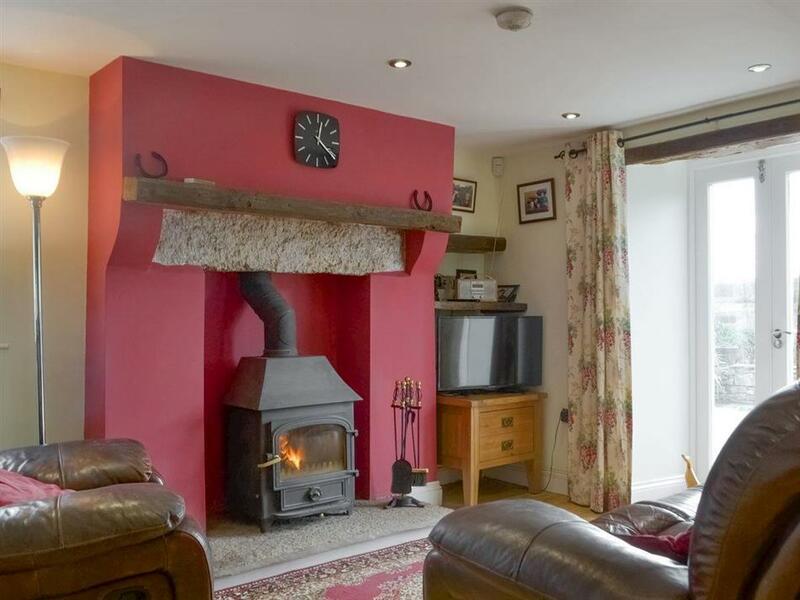 Full of charm, the cottage is well-equipped and beautifully presented, with a modern kitchen open to a living/dining area with the wood burner creating a cosy place to spend time with friends and family. A sitting room on the first floor helps make the cottage ideal for family groups of different generations or friends who will appreciate a room to chat away from the television. To the first floor the character of the cottage is fully evident with beamed ceilings and cottage windows offering views of the countryside. Externally, a good sized front terrace opens on to the lawn, where neighbouring chickens might pop over the wall to say hello! The Lyth Valley is a glorious area for walkers and cyclists to enjoy. Just a short drive away from the peace and quiet guests can pop in to the historic market town of Kendal or much loved Windermere and Bowness nearby. Kendal, sitting on the River Kent offers something for everyone, including culture, history, an eclectic mix of retailers and a wealth of cafés and international restaurants. A few miles away, Lake Windermere offers steamer rides across the lake and the traditional Lakeland villages that dot its shores. Both Bowness and Windermere are able to offer a good selection of independent retailers, pavement cafés and traditional inns. Likewise, the many hamlets and villages in the area offer visitors a glimpse into Lakeland life and a choice of walks – glorious fell routes or picturesque riverside rambles, the choice is yours. The beach is 10½ miles from Barrow Tenement near Kendal. With the shop 4½ miles, and the pub & restaurant are 1½ miles from Barrow Tenement. Living area: With wood burner, 32’’ Sky TV (basic package) with Amazon Prime, DVD player and French doors leading to garden. Kitchen area: With double electric oven, electric hob, microwave, fridge, freezer and dishwasher. Bedroom 1: With twin beds and patio door leading to garden. Sitting room: With 42’’ Freeview TV and Juliet balcony. Bedroom 2: With double bed, Freeview TV, beams and en-suite with double shower cubicle and toilet. Bedroom 3: With ¾ double bed and beams. Bathroom: With bath, toilet, heated towel rail and beams. Oil central heating, electricity, bed linen, towels and Wi-Fi included. Initial fuel for wood burner included. Travel cot and highchair. Telephone. Welcome pack. Enclosed lawned garden with patio and garden furniture. Private parking for 2 cars. No smoking. Please note: There are 2 steps and an unfenced drop in the garden. Holidays at Barrow Tenement run from Friday to Friday. Pets allowed at Barrow Tenement. For a better idea of where Barrow Tenement is, you can see Barrow Tenement on the map below. Barrow Tenement is in Cumbria; should you be on the lookout for a special offer, you can find all the special offers in Cumbria. It's always worth checking to see what is on offer at the moment. Do you want to holiday near Barrow Tenement (UK1288), you can see other cottages within 25 miles of Barrow Tenement; have a look to find your perfect holiday location.